James works extensively with defense, aerospace, high-tech firms, colleges, universities, and non-profit organizations on a broad range of federal appropriations and legislative issues. His knowledge of the legislative and appropriations process and relationships gained from more than 28 years on Capitol Hill provides clients with innovative approaches to the achieving their government relations objectives. James assists university and industry clients in developing partnerships that leverage their unique capabilities to obtain federal funding for research and related infrastructure in support of state and local economic development priorities. He is currently developing strategies with several of these clients to introduce and match their innovative technologies and research capabilities to changing federal budget priorities including renewable energy and homeland security. He is proactively helping clients adapt to the new federal budget challenges and potential changes in rules and guidance for the Congressional Appropriations process and is focused on helping clients develop relationships with potential agency sponsors and the key members of Congress and staff. 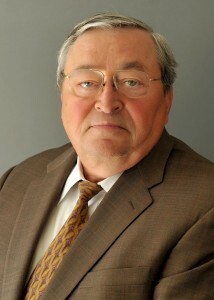 Earlier in his career, James served as Legislative Director for Senator Thad Cochran (R-MS) where he coordinated the Senator’s legislative and appropriations agendas and served as principal advisor on defense, transportation, energy, water resources, economic development, and the federal budget. His experiences serving as Staff Director for two Senate Subcommittees and understanding of the Committee process is especially useful to several clients in obtaining language in authorization, appropriations bills and committee reports to support policy and funding goals.